Nine of Pennsylvania's 13 casinos have applied for licenses to operate online casinos and internet gambling. All four Philadelphia-area casinos have applied. The deadline was on Monday, 7/16. It will cost them each $10 million. The other four still have 30-days to decide, but it was cost $12 million. Pennsylvania Gaming Control Board spokesman Doug Harbach said that the license will allow them to operate three types on online gaming - slot machines, table games and poker. The board will have 90 days to deny or approve each application. 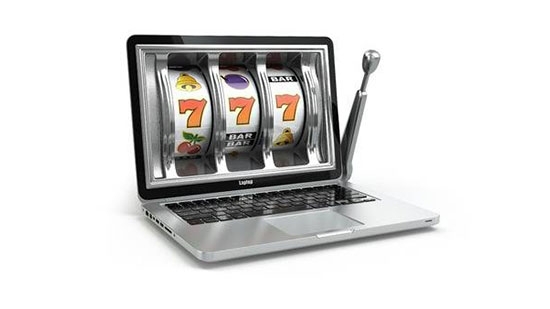 Pennsylvania is only the 4th state to have approved internet gambling following Nevada, New Jersey and Delaware. The casinos who have applied include Sands Casino Resort in Bethlehem; Hollywood Casino near Harrisburg; Rivers Casino in Pittsburgh; Mount Airy Casino Resort in northeastern Pennsylvania; Valley Forge Casino Resort, Harrah's Casino and Parx Casino in suburban Philadelphia; and SugarHouse Casino and Live! Hotel and Casino in Philadelphia. Human remains were found inside a suitcase in Southwest Philadelphia on Tuesday afternoon, 7/17. It happened around 4:15 p.m. on the 2700 block of Ruby Terrace in the Bartram Village neighborhood. Police were called to investigate a foul smell coming from a dumpster. Police Lt. John Walker said the body appeared to be that of a black female. It was in a fetal position and badly decomposed. The medical examiner will have to determine cause of death and try to make an identification. Police do not know how long the suitcase has been there, but those dumpsters are emptied on Mondays. Anyone with information should contact police. A teenager was shot and killed and 4 others injured when two men opened fire in North Philadelphia late Monday night, 7/16. It happened just before midnight Tuesday on the 2100 block of North Fourth Street. The two men fired at least 21 shots from across the street. A 14-year-old boy was shot in the head. He was taken to St. Christopher’s Hospital where he died. An 11-year-old was shot twice in the hip and buttocks. Another 14-year-old and a 15-year-old were hit in the legs and foot. They were also taken to St. Christopher's Hospital for Children and are in stable condition. A 24-year-old man down the block was hit in the stomach by a stray bullet. He was taken to Temple University Hospital and is in stable condition. Police believe the children were the targets, but are still trying to determine the motive which may have been a neighborhood dispute. Investigators are talking with witnesses and looking for surveillance footage. There is a $20,000 reward for information that leads to an arrest and conviction.